Responsibility - ZONE BOWLING is an environment for all different age groups. Parents and carers must take responsibility for persons under their supervision to ensure an enjoyable experience for everyone. ZONE BOWLING Team - You must follow all verbal instructions or warnings given by our friendly team as well as any safety information displayed in our centres. If you require any assistance please speak to any of the ZONE BOWLING team. Bowling Shoes - ZONE BOWLING Shoes must be worn when bowling. If you have your own bowling shoes please seek approval for their use from our friendly team. The Approach - This is the area where you take your walk-up to the lane. No food or drink is allowed on the approach area. Slippery, wet or sticky areas can cause a fall and serious injury. If you notice any issues with the approach stop bowling and seek assistance from the ZONE BOWLING team. No Running or Climbing - We know Laser Skirmish is an exciting game but use caution and skill when playing. Running and climbing in our arenas can cause collisions and falls leading to injury. Play safe and have fun. Strobe Lights - Our Laser Skirmish arenas have strobe lights operating in them. If you know you suffer adverse effects from these lights please speak to our team prior to playing. 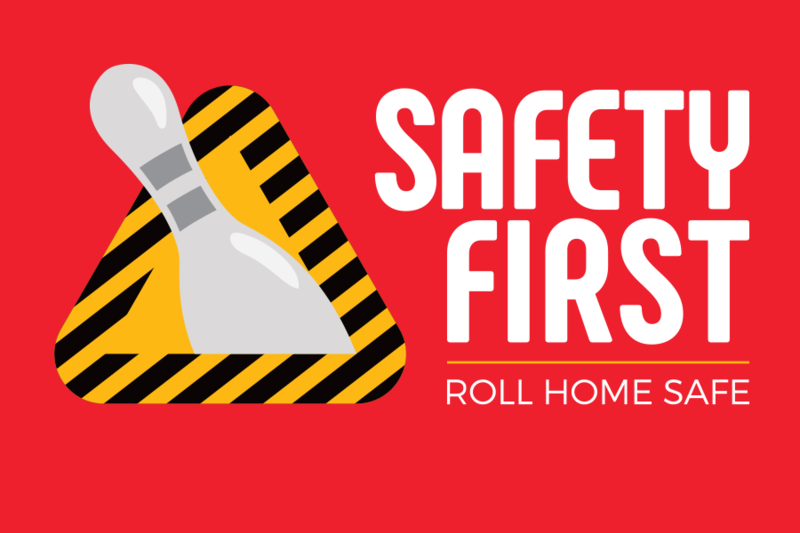 With National Safe Work Month upon us, it’s time to introduce something just as important: Bowling Etiquette. At ZONE BOWLING venues across the country there are over 15,000 pins being set, knocked down and even replaced on lanes every week. Man the stations and set phasers to stun! It’s time to lock and load to battle it out in the Laser Arena at your nearest ZONE BOWLING venue.